Congrats guys! He's definitely a Dolezal! I think he is a keeper! Congratulations!! Congratulations on a new little boy! Its me Tammy Stott. If you remember me. We lived in Kansas when you guys did and were in your Manhattan ward. I saw your family's name on the Furnell's blog. 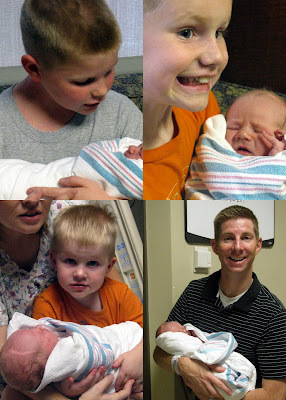 4 boys--how great! We have 3 and 1 girl. Take care and get some rest if you can.